This past weekend was so eventful! It started with our good friends from Louisville arriving Friday evening. It is always a treat when they come to visit. So of course there was a lot of catching up and laughter going on. The following day was my Bridal Shower for the DiMare side. It started off chaotic since there was a lot of coordination before heading to the shower. Then, the street where the bridal shower was held at happened to be closed due to the chocolate fest. Nevertheless, everything was sorted out. When I walked in the restaurant, I was in awe! Tre’s family did an amazing job with the set up! I saw so many of my favorite things i.e. the color pink was prominent, florals, hearts, balloons, and favors from BHLDN. I was impressed with the attention to detail! Overall, I had a wonderful time! I think my favorite part was seeing both families interact and getting along so well! I can't believe you found that Topshop dress at TJ MAxx! Ours NEVER has stuff that great! It's so lovely! Easily something you could wear over and over. I think it's so great you were able to have two showers. The count down begins! So excited to see more posts leading up to, and on your big day! I love love love that dress!!! What a great Tj Maxx find! The bridal shower sounds like so much fun! I love your dress and your pretty earrings too 🙂 Great post, thanks for sharing! Gorgeous dress, love your earrings! 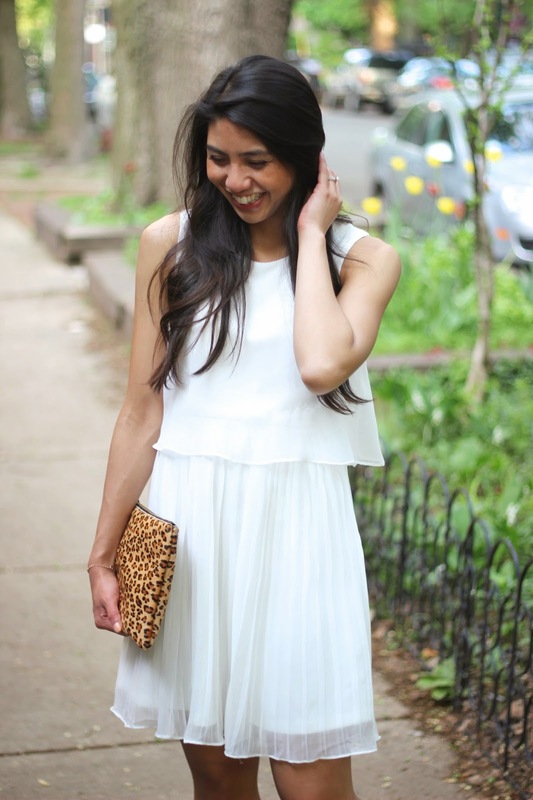 The whole look is perfect for a bridal shower! I love the earrings. This is such a gorgeous bridal party look. Totally in love with it (and the earrings too). This white dress looks really beautiful. I love your long wavy hair with it. So pretty! You have the best luck at those stores and as much as I loved the first dress, I think I like this look even more! Haha it seriously is luck! Thanks Heidi! Beautiful pictures – you look gorgeous Rach! Rach you look stunning! Perfect for a bridal shower. Glad everything went well and you got to enjoy some out of town friends. I love how weddings always bring people together. Thanks Amy Ann! I totally agree that they bring people together! SUch a gorgous flowing look! Such a beautiful dress and u look stunning. 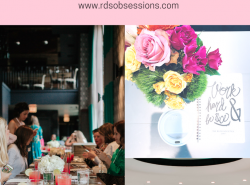 The bridal shower sounds like it was amazing! I love that you had favors from BHLDN…I love that store! 🙂 Absolutely beautiful dress…I love that you paired it with the leopard print clutch! Thanks Valerie! I'm OBSESS with that store haha! I'm always wowed by other peoples finds at TJ Maxx. You look lovely! Thanks Iren! Thanks for stopping by! You look so pretty in white! The dress is beautiful! What a pretty outfit for a bridal shower! I just love your dress. Thanks so much Cee! Thanks for stopping by! You look lovely…such a beautiful bride to be! Aw thank you so much Auna! Such a pretty dress. You look great! You look GORG!!!! LOVE this entire look! awesome… i like this beautiful outfit..